It may be getting harder to sneak into the United States, but once you’ve arrived, getting fake documents in Florida is a piece of cake. The racket was made possible thanks to a law passed in 1917 by Congress, which granted U.S. citizenship to all Puerto Ricans. Now, desperate economic times together with eye-popping profits have created a black market where for as little as $25 a birth certificate can be bought and later resold for $5,000. 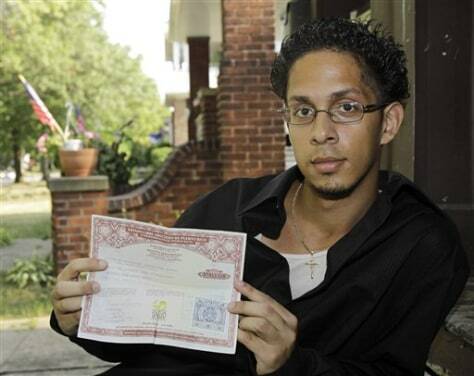 The fraud has become so common in Florida that four years ago, the Puerto Rican government passed a law that voided all birth certificates issued before 2010, reducing the value of birth certificates being sold on the black market. All Puerto Ricans living on the island and in the United States had to obtain new birth certificates that included greater security features such as counterfeit proof paper with special seals and motifs to stop counterfeiters from duplicating the documents. But the new law hasn’t done much to curb fraud. With 4.9 million Puerto Ricans, according to the last official count, living in the United States and another 3.7 million residing in Puerto Rico, “the numbers just don’t add up,” said Elizabeth Cuevas-Neunder, a Puerto Rican running for governor in the republican primaries. The discrepancies are staggering. 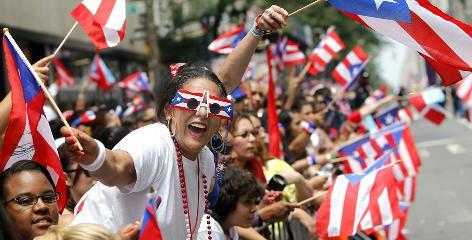 Security Alliance reports that in 2008, 45,622 children were born in Puerto Rico. But in that same year, 860,000 certified copies of birth certificates were issued by the Office of Vital Statistics. Many of these official copies were used to enroll into school, join sports leagues and church groups.